How Do Stair Lifts Mount to the Stair Case? Stair lifts are great options for homes of people with mobility issues. They help people maintain a sense of independence and allow them to live in their homes without feeling limited. If you are considering purchasing a stair lift, either for yourself or a loved, you likely have questions about the installation process. One of the first questions will likely be, how does the stair lift attach to the wall? The answer is, it usually does not. Almost all stair lifts actually attach to the stair case. This is true for both straight and curved stair lifts. It’s also important to note that the stair lift does not need to rest on the floor to be effective. 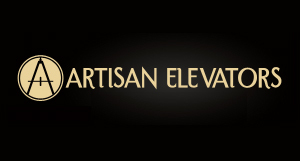 If the stair case is structurally sound, it would not require any extra support for the installation of the lift. A track is placed on one side of the stair case to power the stair lift up and down the lift. During the installation process, the length of the stairs will be measured to determine how much track is needed. The installation should be done by trained, knowledgeable professionals. Some states actually require professional installation. A professional has been trained to install all types of stair lifts in a safe and efficient manner. Proper installation will also add to the quality and integrity of the stair lift. 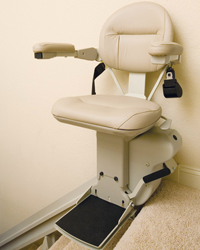 Indy Stair Lifts has professionals ready to install a stair lift in your home or in the home of a loved one. Our stair lifts can be customized to fit the architecture of your home’s stair case.